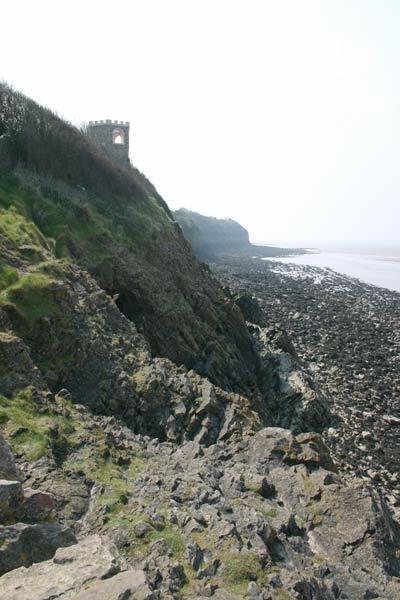 Clevedon is a small town on the North Somerset coast. 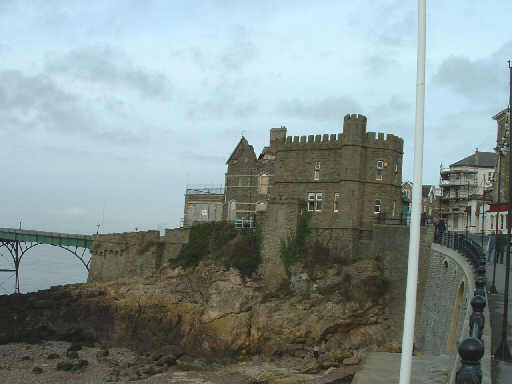 Once a Victorian resort it has been expanded as a dormitory town for nearby Bristol, however the development is inland and the sea front survives unchanged. 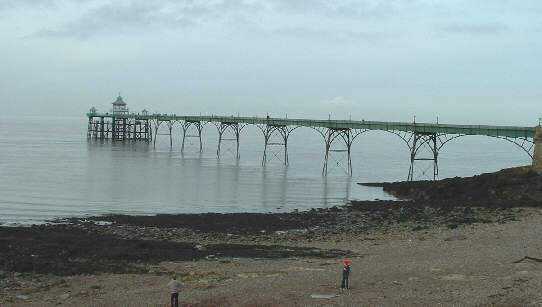 The Victorian pier collapsed during a weight test in 1970, it has been rebuilt by the Clevedon Preservation Trust after many years of fund raising. There is more about it on Clevedon Pier. The building at the landward end of the pier has been subject to much debate as to its future use, unfortunately it was recently subjected to an arson attack as can be seen in this view. 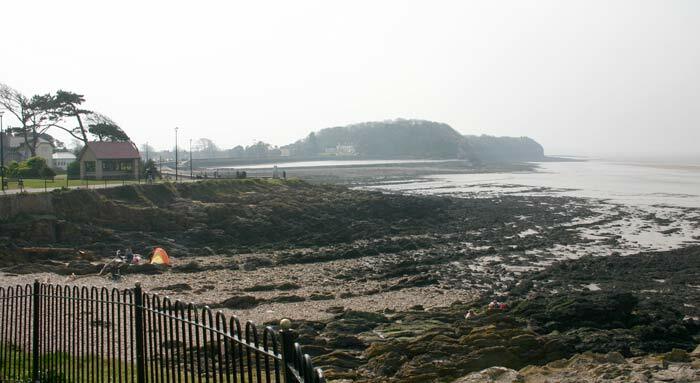 Another view of the pier and the section of beach near it. 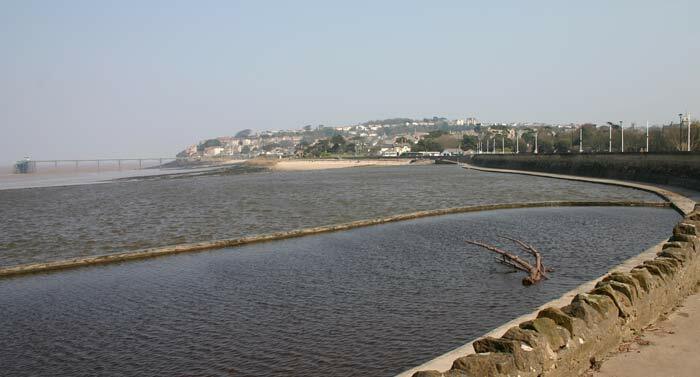 Looking the other way along the northern part of the seafront, with Sand Point, north of Weston-super-Mare, and the island of Steep Holme visible in the distance. 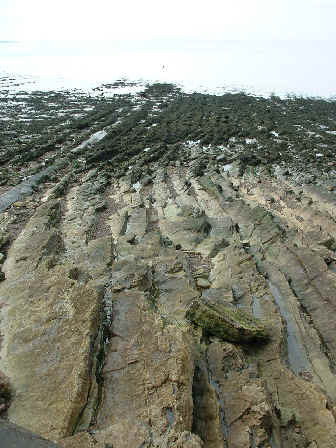 This part of Clevedon Bay is rocky, with the strata of the rock is clearly visible in this view. 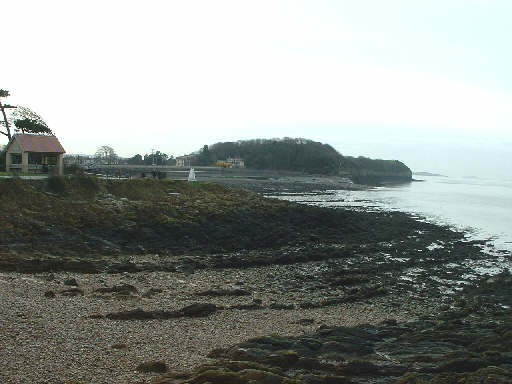 The view from the small headland in the middle of the seafront, over Salthouse Bay with Church Hill in the background. 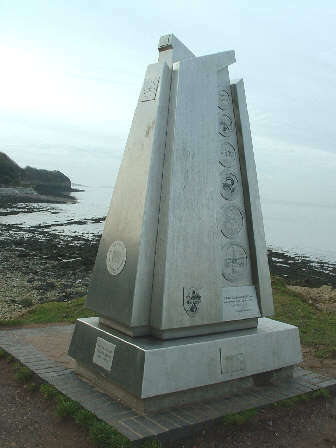 Just visible in the centre of the above photo is Clevedon's Millenium Monument. The Salthouse Bay part of the seafront has on the inland side an amusement arcade and associated stuff, including this miniature railway. 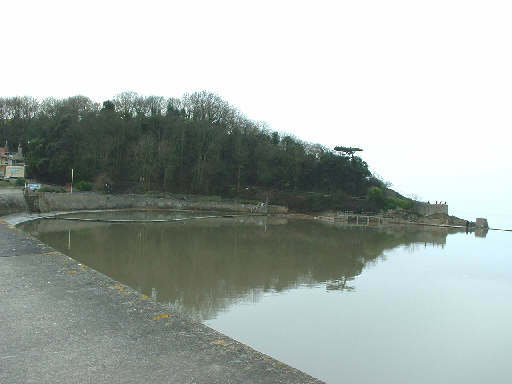 On the seaward side is a boating lake which is replenished by the sea at high tide. 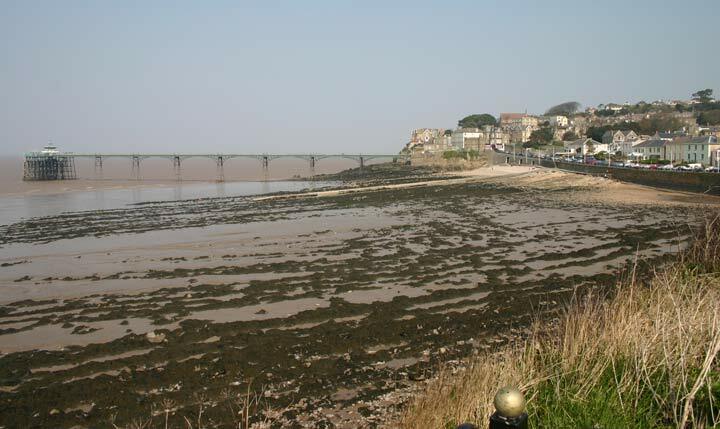 In the background is Church Hill, Clevedon like many towns - including Rome - is supposed to be built on 7 hills. A view across the lake with the pier and another of the towns hills in the background. Looking from the end of Salthouse Bay along the cliff of Church Hill. 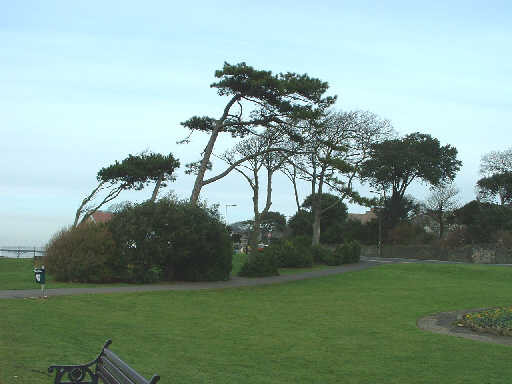 These trees on the seafront leave one in no doubt about the direction of the prevailing wind around here.